It’s doubtful there is any Christian who hasn’t sometimes found it difficult to pray. In itself this is neither surprising nor depressing: it’s not surprising, since we are still pilgrims with many lessons to learn; it’s not depressing, since struggling with such matters is part of the way we learn. God doesn’t demand hectic church programs and frenetic schedules; he only wants his people to know him more intimately, author D. A. Carson says. The apostle Paul found the kind of spiritual closeness in his own fellowship with the Father that’s available to all of us. Praying with Paul leads group members into the epistles to see what the apostle taught in his “school of prayer.” In eight sessions, group members will be exposed to the priorities of prayer, a God-centered framework for prayer, and practices for a more meaningful and dynamic prayer life. Christians today can still achieve the confidence Paul enjoyed by following his life-shaping principles and searching for a deeper devotional experience. Watch D. A. Carson preview the resource here. 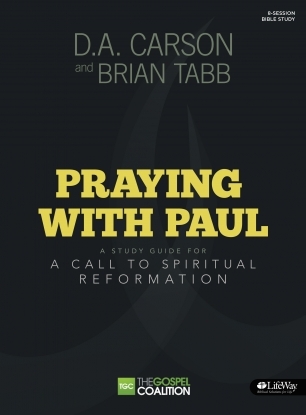 You can also view sample teaching segments and purchase Praying with Paul here.